See how next-generation cloud technologies, combined with proximity solutions, will be key to the future deployment of high-performance, agile, and cost-effective trading architectures in the financial markets. 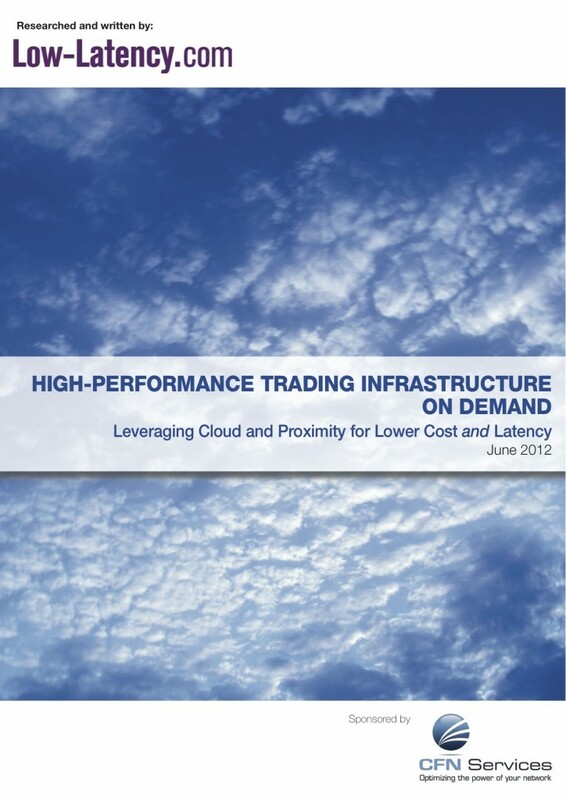 Explore options and use cases on deployment of proximity-hosted cloud platforms and other cloud-based services to improve performance and profitability throughout the trading lifecycle. This industry briefing also provides insight on how the cloud is evolving in financial services to deliver an on-demand infrastructure while meeting the critical latency requirements of automated trading.